Why did it do that? Can I stop it? Should I stop it? I don't usually answer my own questions (and really probably shouldn't on EE), but I think I have some additional details that are relevant to answering the question fully. Please provide feedback via comments or votes for the sake of the community. 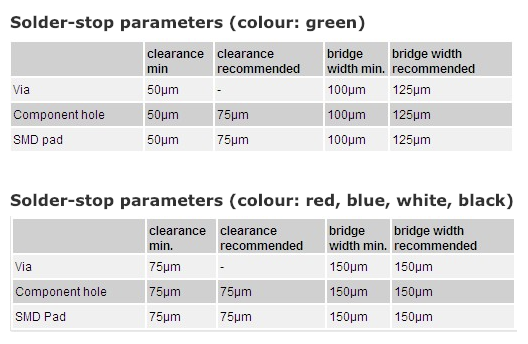 If I have a 0.5mm pitch and .28mm of that is occupied by pads with 0.07mm of mask clearance, then I only have 0.08mm for the bridge (which is less than the 0.1mm minimum for PCBWay). 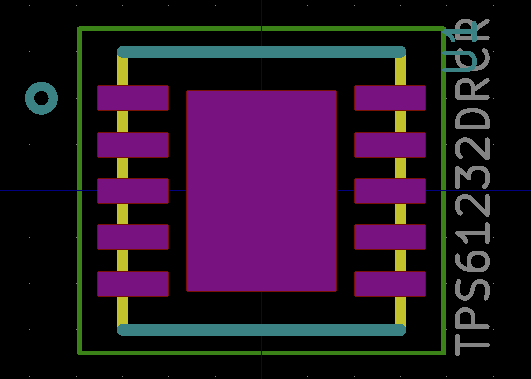 Which is why KiCad didn't put solder mask between the pads for this particular IC. Can I stop it? Yes. Just like @Seth said in his answer, in PCBNew, I can click Setup->Pads to Mask Clearance and change the "Solder mask clearance" and "Solder mask min width" to allow the solder mask to appear. Should I? Well, having the solder mask would likely help prevent shorts between pins due to solder issues. On the other hand, it seems like exceeding the minimum requirements set forth by the manufacturer may also expose risk in the manufacturing process. 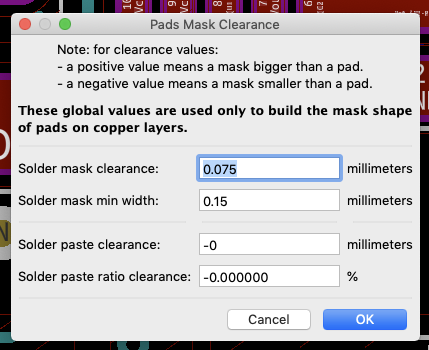 In the meantime, go into pcbnew->Setup->Pads and mask clearance to set the correct values. If you want the pads to be separated, you'll need to specify a value that is less than the pitch. Not the answer you're looking for? 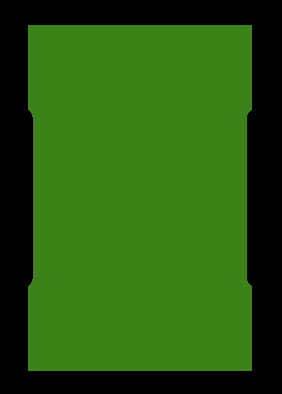 Browse other questions tagged surface-mount kicad solder-mask or ask your own question. Minimum solder mask ridge (sliver) for DFN package? Gerber - is my understanding of solder mask layer (GTS / GBS) correct? How do I move the center of a footprint in KiCAD? 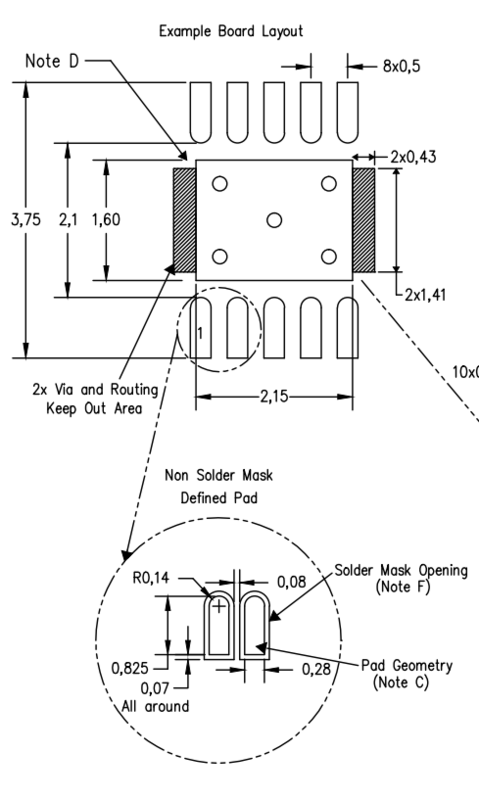 Why would metal from a pad be *underneath* the solder mask in a footprint specification?